The Control 23-1L is a two-way 3" speaker with rich sonic character, wide coverage, consistent dispersion, versatile mounting, and a contemporary high-design look that fits into a wide range of decors. 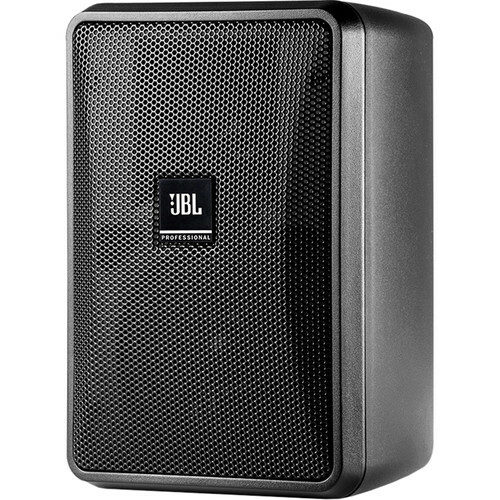 This makes Control 23-1L an excellent choice for a wide variety of applications, including retail stores, restaurants, health clubs, theme parks, educational facilities, hospitality, music cafes, leisure venues, and anywhere where a top quality compact indoor/outdoor foreground/background music (and/or paging) speaker is required. Box Dimensions (LxWxH) 12.0 x 9.5 x 7.0"